Occupational Therapist. I remember now putting new springs on that 109 about 12 years ago when it belonged to my mate Josie and then a new clutch slave cylinder when Andy bought it from Josie then new window runners when Cags bought it from Andy. Then it drove all the way to Orkney from Derby with the starter motor still on because the ignition switch failed. Before the springs were changed I borrowed the lwb to tow my lwt back home on a trailer. I had the lwb the wrong way round on the trailer and with the old springs n shocks being very bouncy on the safari, we boinged along for about two miles before the lwt and trailer tried to oevrtake me on the A5. All the supermarket skid pan training cut in as we snaked up the A5 and Im pleased to say we hit nothing but it's true to say that you could smell the fear. I wish I had bought that safari when it was available. Occupational Therapist. I thought I had replied last night but maybe not. I think I saw that LWT on the Merkit Place. Occupational Therapist - makes sense now! There is a LWT for sale locally on Merkit Place; I had a look at it the other night but it needs a fair bit doing now and is probably overpriced a bit (£1250 without wheels). I was still tempted but would prefer a 109 and would rather not have another major project (still got the MG to finish!). 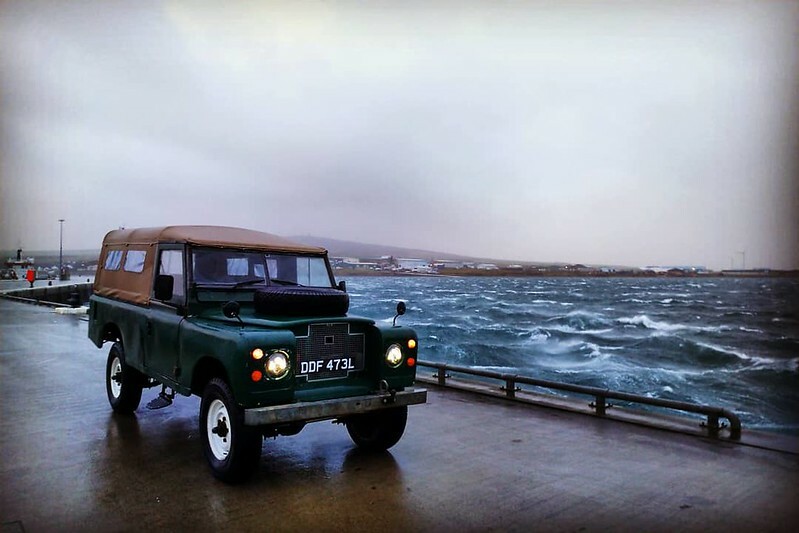 1972 Land Rover Series 3 109 "Alfred"
Lightweights look heroic and are fun to drive but, if you're like me and carry lots of kit about, a lwb is a more practical option. The ride is smoother but parking more difficult. The only practical solution is to have at least four land rovers. hard top and soft top long and short at entry level followed by a pair of truck cabs and then a drop side tipper, a cherry picker, camper, hearse with trailers of course. A 130 box back mobile workshop with a Bedford to carry the spares and a Stally with a Hiab may be useful if the neighbours don't mind you parking on the verge. Apologies from being away from the forum for so long. Combination of more work and less time online has led to a significant reduction in forum visits recently. Anyway, back now and hoping to contribute a bit more. I still have Alfred (http://seriouslyseries.createaforum.com/the-landrover-gallery/alfred-the-109/) as my daily driver and he is holding up well. I'll update his thread over the coming days with jobs that have been done, jobs still to do and of course pictures of his travels throughout Orkney and the rest of Scotland! Do you ever bump into a 109 Sation Wagon in Marine Blue with the reg starting in JFS? Used to belong to a series of mates of mine. Last seen somewhere near Kirkwall. Can't say for sure if I've seen it. There's not many leafers out and about up here, although there is a rather scruffy looking 2a 109 3 door in regular use around Kirkwall. I'll keep an eye out though. Thanks Tom. Good to be back!